We were happy to share that our very own Amy Joseph was honored at a Commercial Real Estate Women (CREW) luncheon recently. CREW published a newsletter that accounced, "We are pleased to present our Member Awards for 2014 at the January luncheon! The criteria to be nominated for these awards goes back to our mission of CREW Connections between members. These members not only did deals with other members but also volunteered for committees and were nominated by the committee chairs." 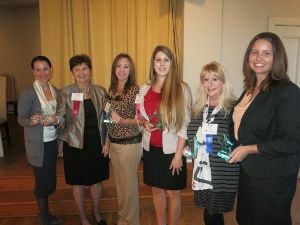 Capital CDC would like to congratulate all of the award recipients!